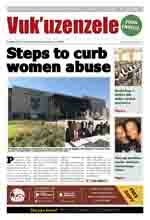 The Umsobomvu Youth Fund has good news for women who want to improve their lives. Women of all ages from previously disadvantaged backgrounds who want to start businesses or need to grow existing businesses, can now apply for money from the fund. In the past, only young people between the ages of 18 and 35 from previously disadvantaged communities qualified for the Umsobomvu Youth Fund. Mbongeni Mtshali from Umsobomvu said studies have shown that more and more women are becoming the main bread-winners for their families. It was also found that women are better than men at repaying loans and that women were the worst affected by apartheid. He said women could use their loans for business services like marketing and business plans or to grow their businesses. 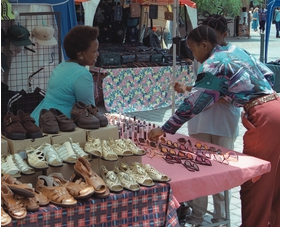 They can also apply for finance from the fund's many other funding programmes. show that the new or existing business will be able to repay the loan. If you are not sure what to do, you can ask for help from a loan officer at a Umsobomvu Youth Fund branch near you. The loan officers are there to give advice and help you complete the application. There are branch offices in all the provinces. 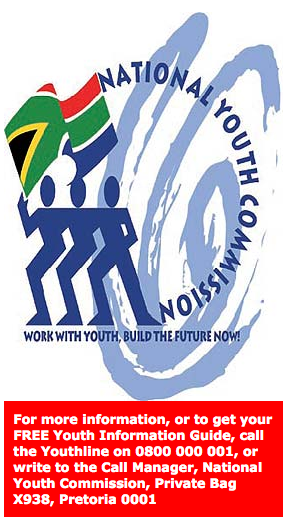 The National Youth Commission is developing a new National Youth Policy for youth development. This policy will replace the National Youth Development Policy Framework that is coming to an end in 2007. The new policy will take a very broad look at youth development. This will include developing young people in such a way that they will get knowledge, skills and values that will help them to make wise choices about their lives throughout their lives. It will look at a wide range of important issues like how to lead healthy lives, education and skills development. A two-day workshop was held in July to talk about ways to include different contributions and suggestions into the draft policy. This took into account suggestions made by youth at a Policy Review Convention held in 2006. Young people from many youth organisations throughout the country attended the workshop.